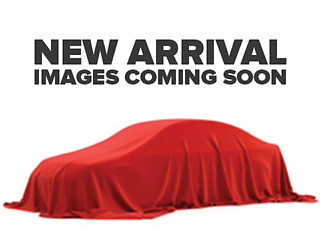 Heated Seats, Remote Start, Rear View Camera, Android Auto, Apple CarPlay! 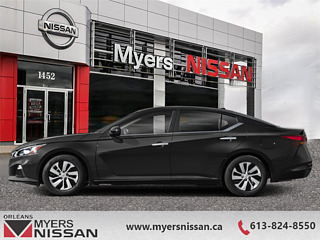 Fully redesigned for the 2019 model year, the Nissan Altima is ready to change the rules. 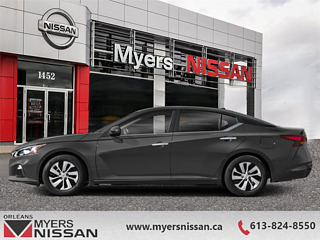 With a comfortable and well appointed interior, a well composed and lively ride quality, and a fresh modern exterior, the all new 2019 Nissan Altima is single handedly changing the face of Nissan. Fully redesigned, fresh, and refined, this Altima is perfectly modern and ready with the next generation of driving assistance programs. The future is here in the all new 2019 Nissan Altima. This gun met sedan has an automatic transmission and is powered by a 182HP 2.5L 4 Cylinder Engine. Our Altima's trim level is S. This all new Altima S is loaded with some awesome convenience and comfort like dual power heated side mirrors with turn signals, UV reducing solar glass windshield, Advanced Drive-Assist Display in instrument cluster that acts as a second monitor for the driver, Siri Eyes Free, rear view camera, AutoHold brake hold feature, hands free texting assistant, remote keyless entry, remote start, heated front seats, power drivers seat, and steering wheel mounted cruise and audio controls. Improving your ride and keeping you safe is some great new technology like all wheel drive, 4 wheel independent suspension, active understeer control that ups braking power on the turning side of the vehicle, intelligent automatic headlights, an impressive array of airbags, intelligent forward collision warning with emergency braking, driver alertness assistance, intelligent ride control to reduce pitch, and intelligent trace control that uses braking to assist in cornering. An 8 inch touchscreen with Apple CarPlay and Android Auto compatibility, Bluetooth streaming and controls, SiriusXM, USB and USB-C inputs, and an aux input keep you connected in a next generation cockpit. This vehicle has been upgraded with the following features: Heated Seats, Remote Start, Rear View Camera, Android Auto, Apple Carplay, Siriusxm, Remote Keyless Entry. Buy this vehicle now for the lowest bi-weekly payment of $202.84 with $0 down for 84 months @ 5.99% APR O.A.C. ( Plus applicable taxes - and licensing fees ). Incentives expire 2019-04-30. See dealer for details.